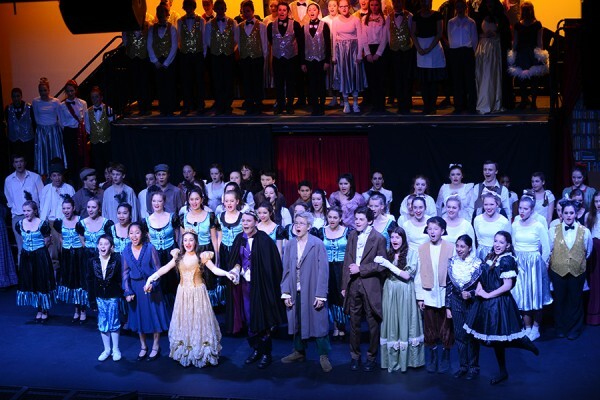 In August, the opening of the Saint Peter Faber SJ Building, the College's new performing arts facility, was marked with a sell-out performance of Disney's Beauty and the Beast. The cast and crew of the College musical were the first to use the building's new theatre. Year 10 student Giulia-Georgina Condoluci, who played the role of Belle, had been looking forward to the opportunity to use the new facility since construction began in April 2013. "It's so great that we have our very own performing arts facility with so many amazing features in it. It is exciting to think of all the new classrooms and rehearsal spaces we will have," Giulia-Georgina (16) said. "The recording studio will be a lot of fun to use," said Giulia-Georgina. The Blessing and Official Opening of the new facility will be held next month. The Saint Peter Faber SJ Building will also be open to the public for viewing on Saturday 15 November.